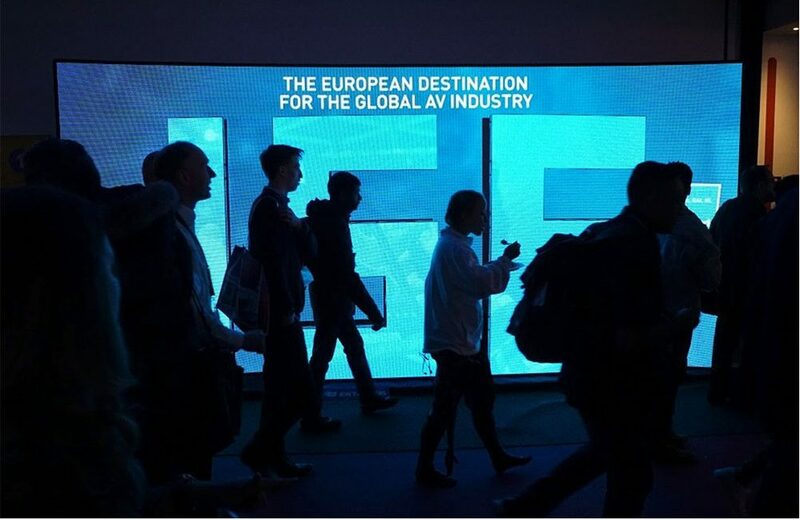 The ISE 2019 show brings together the residential and commercial electronics markets. This year not only will these industries share the same venue, they will both see the latest in signal management options to help their respective businesses at the event. The start of the new year also means it’s trade show season for the electronics market. For AV professionals, it also means that AV signal management, as we know it, is about to be redefined. Starting with the Consumer Electronics Show (CES), then National Association of Music Merchants (NAMM) and, most importantly for AV integration firms, Integrated Systems Europe (ISE 2019 trade show), exhibiting manufacturers set out to reset the AV distribution and AV-over-IP landscape. Following CES 2019’s emphasis on next-generation 8K televisions, the ISE 2019 exhibition will focus on the maturing UltraHD 4K market and solutions that provide signal management capabilities to high-data content such as 4K at 60Hz with 4:4:4 chroma subsampling. Taking place in Amsterdam during the week of Feb. 5-8, ISE is the most diverse trade event in the electronics industry, hosting exhibitors from both the residential and commercial markets. Unlike past years where the requirements of the two markets called for specific solutions that addressed those unique requirements, residential and commercial integrators this year will both be in need of similar product solutions. Atlona will showcase its OmniStream v1.2.2 firmware release during ISE 2019. Years ago, integrators in both markets used matrix switchers, baluns and other devices to distribute AV signals. Some of these solutions required complex setups and lots of labor. Today, however, through technologies like HDBaseT, AV over IP signal management and fiber cabling, integrators can tailor their system designs to meet the exact content, budget and future expansion goals of their clients. Exhibiting in stand No. 5-U120, newly acquired Atlona will showcase its OmniStream v1.2.2 firmware release during ISE 2019. 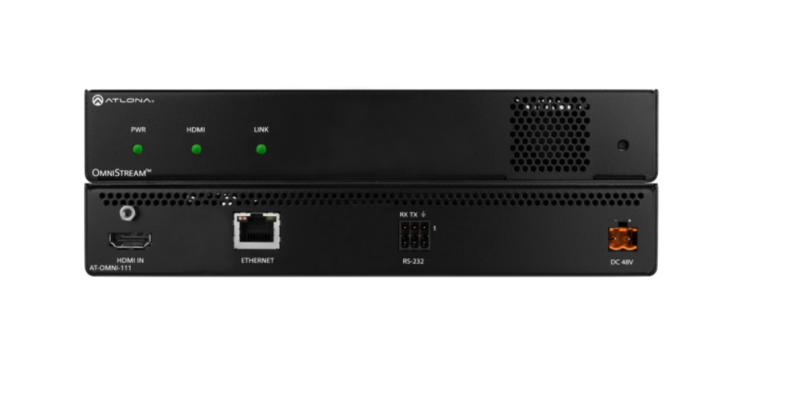 Atlona says the new firmware improves the signal management capabilities of its Omnistream AV over IP product line to make the line more conducive to use for video wall and meet space installations. Atlona also says the line offers faster switching capabilities, including the ability to actively manage EDID and HDCP negotiations between sources and displays. Other AV over IP solutions that will be on display during the show include WyreStorm’s product line. For the event WyreStorm will be partnering with Domotz to demonstrate the remote signal management options that it has developed in conjunction with the remote management company. The company’s demonstration takes place in stand No. 1-N100, and WyreStorm and Domotz will highlight how integrators can remotely access WyreStorm systems using a WyreStorm tile that is built into the Domotz platform. The remote access provides integrators the ability to access system updates and monitor their installations’ system statuses. Audinate enters the AV-over-IP arena by announcing Dante AV as an audio-and-video-over-IP solution for manufacturers. Audinate argues that Dante AV solves problems of networked video and audio synchronization, utilizing a single network clock for sub-microsecond accuracy. ISE 2019 attendees can learn more at stand 7-C230. In a product launch to support AV over IP system integration, the Software Defined Video Over Ethernet (SDVoE) Alliance is set to debut the Netgear M4300-96X 10G Modular Managed Switch in stand 3-B150. The M4300-96X 10G managed switcher provides HDMI input and output modules to eliminate the need for stand alone encoders and decoders to streamline rack-mount system designs, while reducing system costs. “SDVoE is transforming the matrix by replacing the expensive ‘big iron’ at the core of a matrix switching system with an efficient matrix switch,” says Justin Kennington, president of the SDVoE Alliance. While the 10G vs. 1G AV-over-IP debate undoubtedly rages on at ISE 2019, Crestron truly doubled-down on 1G when it announced the next generation of Crestron DM NVX network AV that includes newly-developed Pixel Perfect Processing technology. With the new technology, which essentially improves JPEG 2000 encoding and decoding, the “1G vs. 10G debate is dead,” Nic Milani, executive director, commercial product marketing, Crestron, told CI. Attendees at trade shows like ISE 2019 have become accustomed to AV-over-IP 1G vs. 10G side-by-side demos at Crestron competitors’ booths. Crestron says it has raised the stakes for itself; rather than side-by-side comparisons with 1G DM NVX with 10G competitors, it invites comparisons with direct-to-PC. Now, however, “we have to be as good as the PC directly out to the display,” Peras says. “That’s our new comparison.” ISE attendees can check it out at stand 2-E30. Some may associate AV over IP strictly as a solution to manage video signals, however Just Add Power (J+P) will demonstrate that networking technologies can also be used to distribute audio. J+P, which will be located in stand 1-N110, will show its 3G+ TVI and 709P2P point-to-point PoE Transmitters. “We’ve taken a giant step forward since last year by bringing Dante and AES67 audio systems into the fold and allowing audio of the highest quality to be played everywhere throughout an installation. J+P says the 767DSS transmitter is among the first products that support the Dante eight-channel chipset. The company explains the new transmitter allows integrators to input as many as eight channels from a J+P system for playout on Dante-enabled and AES67 components, with extraction capabilities for outputting across its AV over IP systems. The 767DSS is backwards compatible with legacy Dante and AES67 products, and it supports bitrates such as 176.4 and 192kHz with just 0.25ms of latency on gigabit Ethernet. Additional transmitters on display include the 726TVI, which adds HD-TVI support for the company’s 3G HD-over-IP systems without the need of a TV-HDMI converter. The 709P2P transmitter distributes UltraHD and 4K with HDCP 2.2 over a single Cat-5 cable. The product also supports Dolby Atmos object-based surround sound, and control endpoints with RS-232 and IR. Launching its first AV over IP solution MuxLab (stand No. 1-F130) will introduce its HDMI over IP H.264/H.265 model number 500763-TX PoE Transmitter. The transmitter sends signals up to 100 meters over a category 5e/6 cable, and it upscales 1080p at 60Hz and 4K at 30Hz to 4K at 60Hz levels. MuxLab adds that when used with its ProDigital Network Control, every component on the network can be managed, accessed and controlled from a laptop or smart device via its MuxControl iOS and Android app. Heading into ISE 2019 the signal management company Aurora has just announced a five-year warranty on select products. Aurora, which is exhibiting in stand No. 5-S85, states that its IPX TC3 Series, VLX-TC1-CF, HT Series, and RX Series will now be supported with the N.J.-based company’s latest warranty policy. Showing that it offers more than a comprehensive line of control solutions, RTI in stand No. 1-N85 will exhibit its latest HDBaseT products. The new products offer integrators a choice of HDBaseT matrix switchers, extenders and companion accessories to distribute UltraHD 4K content with high dynamic range (HDR). KanexPro’s latest products employ HDBaseT to distribute HDMI 2.0, USB-C and USB 2.0. “Across the board, our new HDBaseT products offer the perfect combination of the latest technology and complete feature set, which truly sets them apart,” notes Ed McConaghay, CEO of RTI. Over in stand No.1-N15 KanexPro will launch its 4K Wall Plate Switcher Series. Designed for commercial environments such as classrooms, boardrooms and government buildings, the devices incorporate control options and Power over HDBaseT (PoH) to support a range of system demands. The UP-2XHDUSBC extends 4K signals at 60Hz with 4:4:4 chroma subsampling up to 130 feet over a single Cat-5e/6/7 cable. The HDMI 2.0 and USB 2.0 Wall Plate over HDBaseT product incorporates a 2×1 HDMI transmitter and receiver that supports 4K at 60Hz up to 130 feet. In addition to AV over IP and HDBaseT there are other signal management and transmission technologies on the ISE 2019 show floor that are capable of handling 4K, HDR and next-generation 8K resolutions. Fiber-optic cabling is growing increasingly popular as a more affordable and more future-ready solution than traditional copper-based cables, and there will be several notable fiber solutions at ISE 2019. Metra Home Theater, a Fla.-based company that specializes in the high-speed cable connectivity category will be exhibiting in stand No. 1-Q80 during ISE 2019. 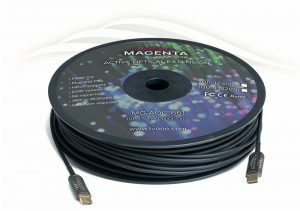 At the event the company will highlight products such as its new Hybrid Active Optical Fiber Optic Cables. Metra says the new cables feature a removable headshell to ease installation, and the product line is designed for prewiring with a small connector and hook to aid integrators when pulling the cables through conduit. At ISE 2019, tvOne shows off its active fiber optic cabling. Providing the high-speed connectivity that integrators need to deliver 4K and new HDR technologies, the products support 24Gbps (4x6Gbps) to enable integrators to install A/V systems that deliver 10-bit 4K UltraHD video at 60Hz with 4:4:4 chroma subsampling, and high dynamic range (HDR) that include HDR10 and Dolby Vision. Streamlining the installation process, the CL-3 rated cables also omit the use of external power supplies in order to work properly and feature a thin diameter with 24k gold-plated connectors. 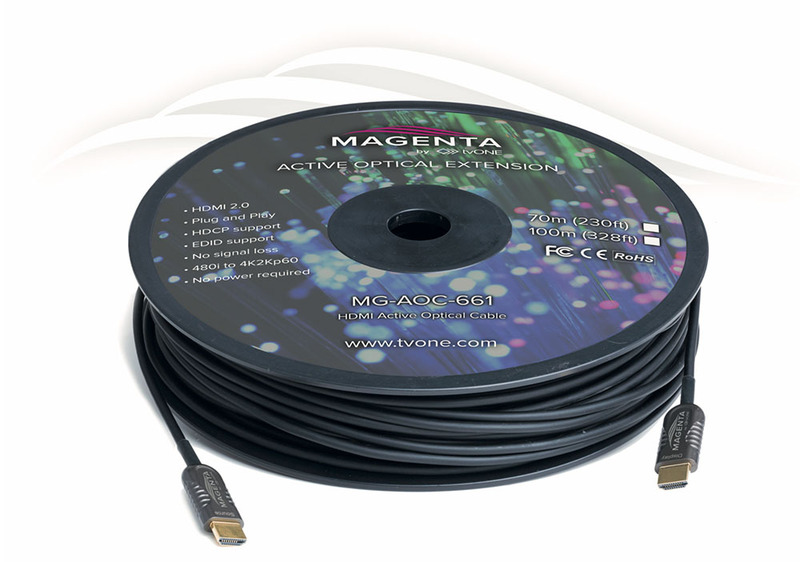 Another company that will have fiber-optic products in its booth is tvOne. In its stand(1-M140) tvONE will show its DisplayPort 1.4 and HDMI cabling products. The company says the cables are capable of carrying AV signals as far as 328 feet without the need for an external power supply. 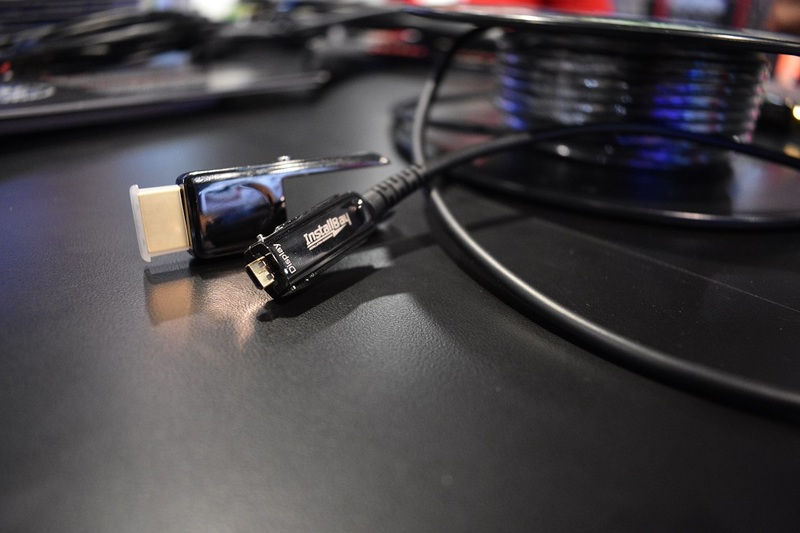 The HDMI cable supports resolutions up to 4K at 60Hz with 4:4:4 chroma subsampling, and the DisplayPort 1.4 cable supports resolutions up to 8K at 60Hz with 4:4:4 chroma subsampling. Both cable product lines also support EDID and HDCP, and they both offer plenum versions of the products. In addition to the above mentioned companies, some of the other connectivity companies exhibiting at ISE 2019 include Adder Technology (10-R130), Belden (10-P120), Cleerline Technology (15-M265), DVIGear (1-M100), and Gefen (1-N50). These companies will exhibit their latest AV over IP signal management, HDBaseT, fiber optic and traditional copper-based connectivity solutions for the residential and commercial markets.